The Google Play Store has seen a lot of changes over the past couple of months. The entire look of the app seems to have changed for the good, making it easier for the users to find what they need. 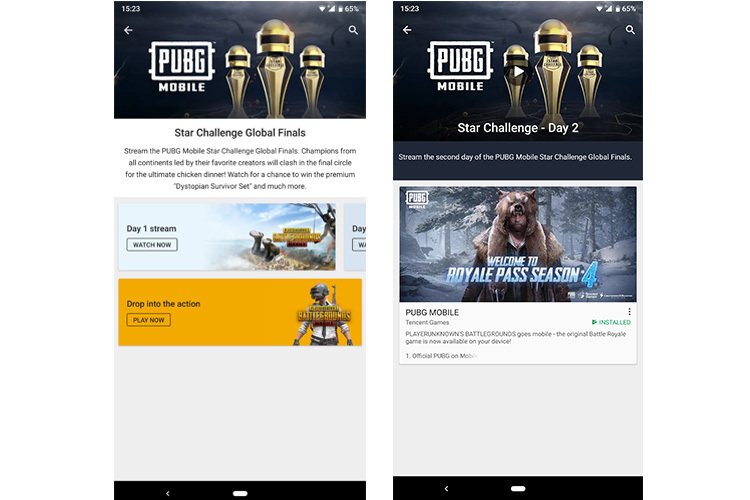 The PUBG Star Mobile Challenge, in case you are wondering, is a tournament that’s being conducted by PUBG Mobile in Dubai, featuring celebrity streamers and top squads from 6 global tournament regions. This is a neat addition considering the fact that it makes it a lot easier to find the stream and follow the updates instead of having to look around for a proper source. Tapping the banner on the front takes you to a page where you can watch the Day 1, Day 2, etc. streams live. I am guessing the streams will be saved so you can come back and watch the game play whenever you find the time. The ‘Watch Now’ button still takes you to the YouTube app unlike the games or app introduction videos that starts playing directly in the app. 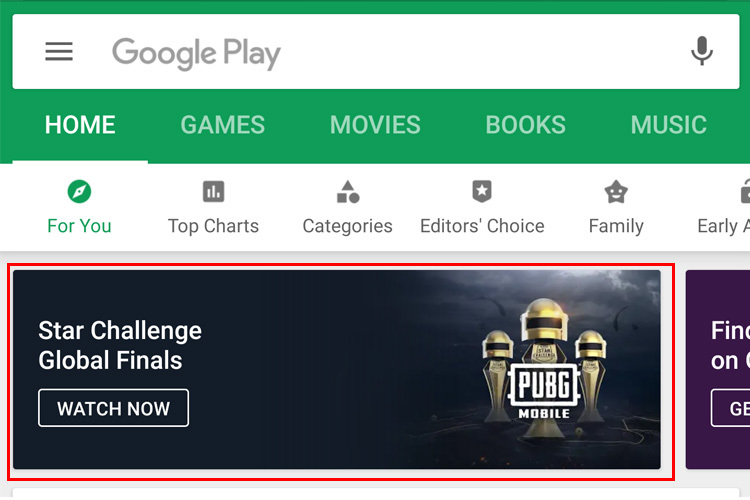 PUBG Star Mobile Challenge is a three day event, so the day’s stream will also show up here once the stream is in place. Anyway, I am glad that Google has decided to make it easier for its users to follow an e-sports event. They definitely deserve a lot more attention, and with its crazy popularity, PUBG Mobile might be the perfect way to start this off.